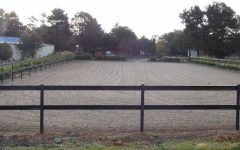 Looking for the perfect dressage arena! 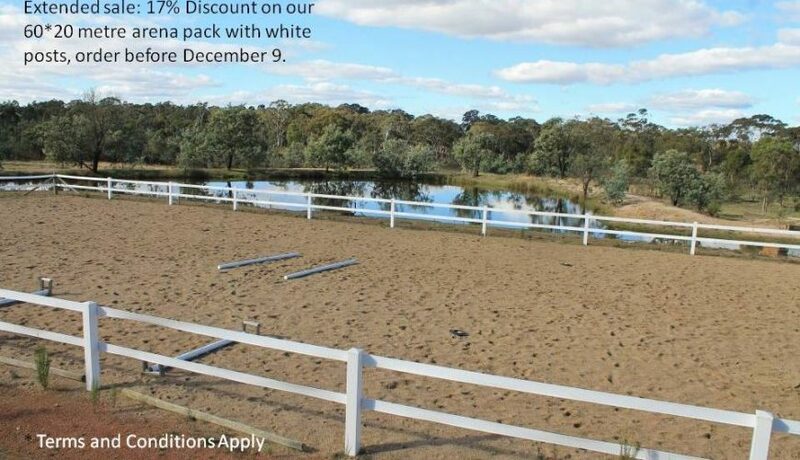 We are continuing the discount on the popular 60*20 metre kit featuring white posts for your dressage arena. 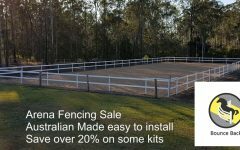 Following on from the success of our November Arena Fence Sale. This kit if order before 9th December will save 17% of our normal prices. Normally $3,630 now $3,000. 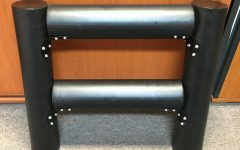 This kit 60*20 Dressage Arena Fence Kit contains all the materials for the perfect dressage look arena in stunning white. 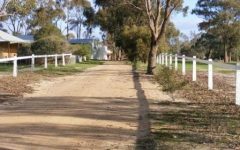 Our white rail is complemented with customised white Woodshield posts for a paint free, low maintenance, termite resistant stunning arena. 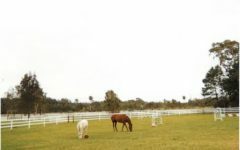 If you want to do the job properly and enjoy your horses this is the kit for you. 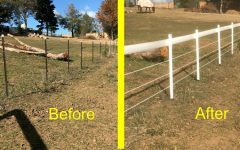 Imagine never painting the fence again. 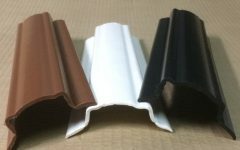 Imagine a clean quality finish that will lift the value of your property. 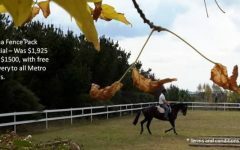 Imagine doing your practice in a complete horse arena! This price may never be repeated. 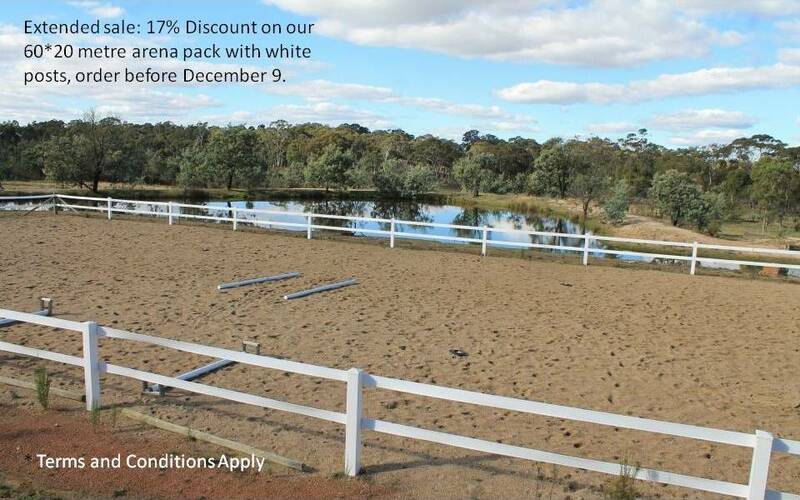 Order online by following the link above or contact Geof Smith by mobile (0400818601) or contact fencing for horses. Note: Be aware that during the Christmas period, transport and logistics become difficult. 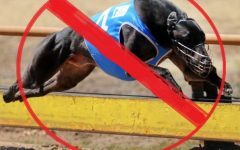 Deliveries to regional areas can become complicated. Sometimes delay’s can occur. 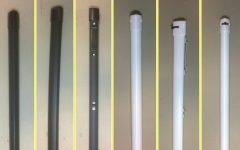 However we will endeavour to reach you wherever you are in Australia as soon as possible. In the new year transport becomes a lot simpler.